Two of the activities Preston misses the most since moving from New England to Texas are playing in the snow and going hiking. Preston got to do both in his trip to Seattle! Seattle’s winter is mild and the city doesn’t usually get a lot of snow but a snowstorm hit the Northwest the day after Preston arrived. 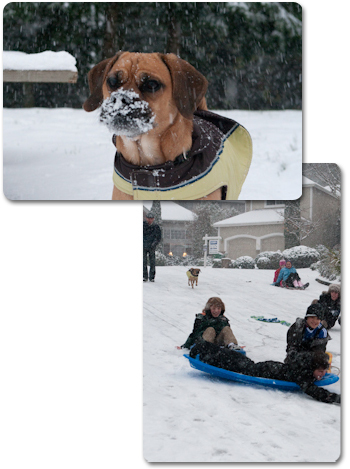 Preston was out playing in the snow and so were all the kids on the block! 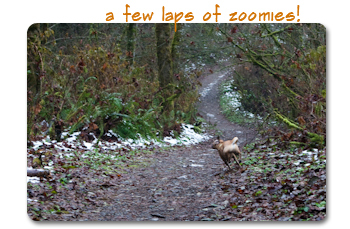 Preston revisited Marymoor Park, the locals call it “Doggy Disneyland”. 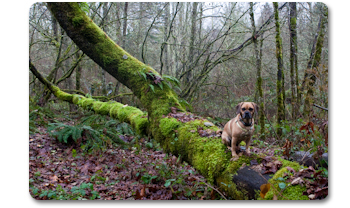 When the snow melted three days later, Preston went hiking in Cougar Mountains. 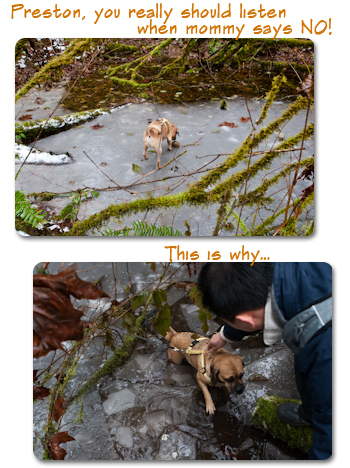 How did Preston warm up after getting out of the icy water? 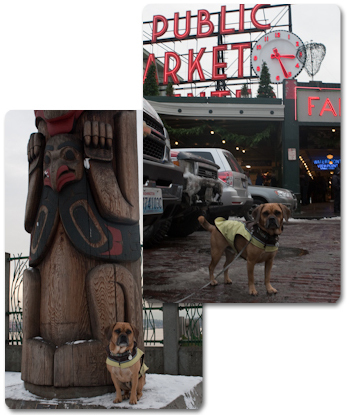 Preston also visited the famous Pike Place Market in downtown Seattle. When Preston wasn’t going out, he was obsessed with his new found friend at Grandma and Grandpa’s house. Preston’s Seattle trip 2007: Sleepless in seattle. Preston flew to Seattle with Mommy and Daddy last Saturday to spend the holidays at Grandpa and Grandma’s house. Yes… Preston was flying again!! Just like previous flying trips, Mommy and Daddy were very nervous about putting Preston on a plane since he is too big to stay right next to them in the cabin and has to travel in the cargo hold. 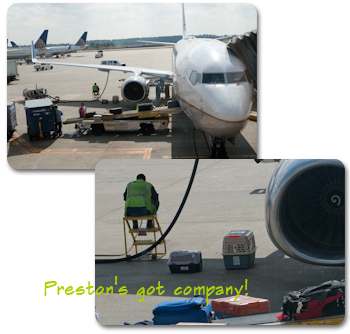 In the past, Preston has flown with United Airlines and American Airlines. Both of the airlines accept pets as checked baggage, meaning Preston was checked in at the same ticket counter as Mommy and Daddy and picked up at the baggage claim. This time Mommy and Daddy had booked Continental Airlines. They handle their pet customers a little differently. 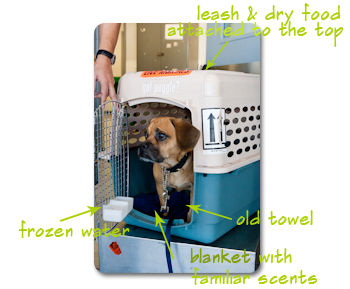 Pets that are too big to fly in-cabin are shipped through their Petsafe® program. 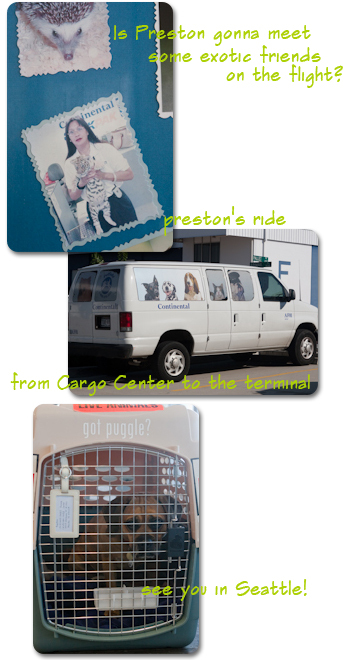 Under this program, pets are accepted as cargo, meaning Preston has to check in at the airlines’ “Cargo Center” and be picked up at the Cargo Center at the destination too. Mommy and Daddy did research and prepared this trip as if Preston had never flown eventhough it would be his FOURTH trip flying wtih Mommy and Daddy. Phew! Preston had a pleasant flight and arrived in Seattle safely! Mommy and Daddy would like to share their latest experience. -Book ahead: Daddy reserved Preston’s spot on the plane 2 months ahead! -Check restrictions: Airlines have restrictions on breeds. 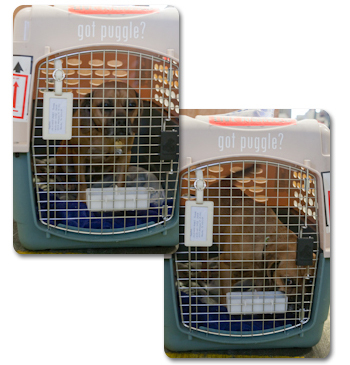 During the hot weather months, some short-nosed breeds are not accepted for flying in cargo. -Health certificate: Continental and the USDA require that traveling pets have a Health Certificate issued by a veterinarian dated within 10 days of travel for both the outbound and return trips. Preston is spending a week in Seattle so Mommy got his Health Certificate the day before his travel date. -Arrive early: Preston arrived at the Cargo Center 2 hours before the scheduled flight. -Flying in comfort: No toys are allowed in the kennel. It is a 4-hour flight from Houston to Seattle. Mommy had prepared Preston’s Kennel in case there is an unexpected long delay. With the Petsafe® program, Mommy and Daddy can track Preston’s status online throughout the journey but they didn’t need to get online for this trip. Look, who is arriving at the terminal and ready to board. Mommy and Daddy’s seats happened to be on the right side of the airplane so when they landed in Seattle, they were able to catch a glimpse of Preston being unloaded. Mommy and Daddy didn’t waste a minute picking Preston up at the Cargo Center after they got off the plane. It was a relief to see that Preston made it to Seattle safe and sound. 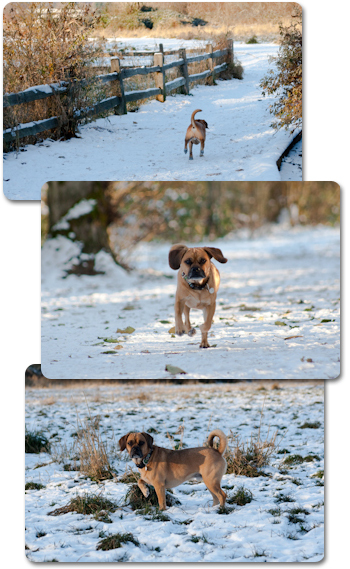 Preston’s past flying expereince: Flying with a Puggle. 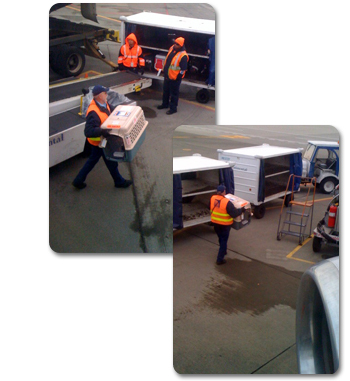 FYI: Prior to this trip, we were uncertain about checking Preston as cargo as opposed to a baggage. We were worried about the additonal time Preston would be separted from us since an earlier check-in time is required for cargo and we wouldn’t be able to pick up Preston as quickly as we did when he traveled with us as a checked baggage. 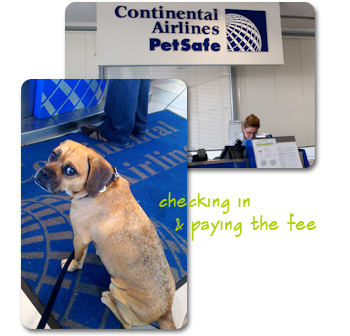 Based on this experience, we are giving Continental’s Petsafe® program thumbs up. We were able to avoid the chaos at the ticket counter espeically during the holiday season and picking Preston up at the Cargo Center is definitely more secure than finding him at the Baggage Claim where anyone could have picked him up. We didn’t have to wait for TSA screening either. That was also a plus. However, we recommend researching beforehand the directions to the Cargo Center as most airport’s Cargo Center is located in a remote area unknown to the general public and maybe hard to find. Daddy was attending a conference in Austin, TX last week. Mommy and Preston got to tag along and made it a family trip. Austin is a very charming city and super dog friendly! 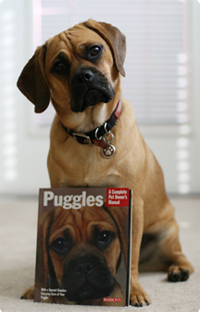 Preston’s long-time blogging buddy, Coco the Puggle, lives in Austin. Coco and her mommy Lena told Preston all the fun places to visit in Austin. Preston was hoping to meet up with Coco but unfortunately, Coco had to stay home since both her Mommy and Daddy had to work. Coco’s mommy Lena works in a very dog friendly fancy shopping center so Preston stopped by and said hello. Lena had told her friends at work all about Preston so when he arrived, he got the “celebrity welcome”. Look how much he enjoyed the attention from all the glamorous ladies at the cosmetic department at Neiman Marcus. 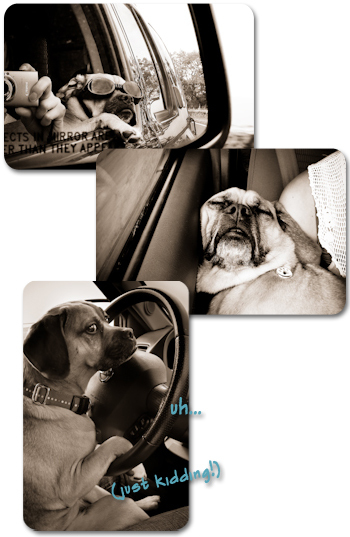 Mommy and Daddy would be the first to admit they didn’t used to practice good dog car safety eventhough they knew how important it was. Preston could sit anywhere he wanted in the car and was never buckled up. Shame on Mommy and Daddy! But that was all in the past. Preston is now always buckled up when riding in the car. Mommy got him a zip-line type of seatbelt that keeps Preston safe but still allows him some freedom in the car. On Mommy’s car, also known as Puggle Mobile because it is Preston’s primary ride (and full of Preston’s hair), Mommy uses PETCO Zipline Dog Seat Belt. The zipline is hooked onto the rear passenger seatbelt tabs. The adjustable leash that comes with the zipline is attached to Preston’s harness. Preston can still stand on his favorite spot in the car-the center console. Occasionally, Mommy extends the leash so Preston can sleep in the front seat but remains buckled. 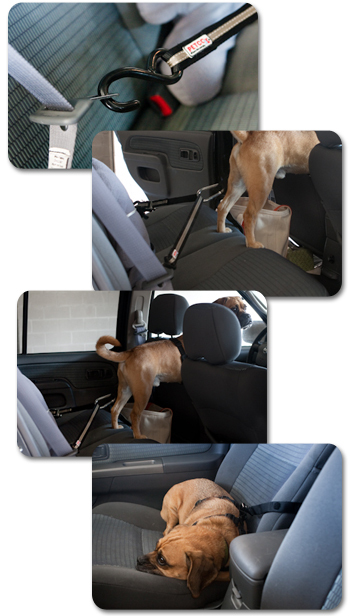 On Daddy’s car, Daddy uses KURGO Zipline and hooks it onto the rear passenger overhead handles. He also uses a seat protector that can be zipped up to become a bucket to catch Preston’s shedding hair. 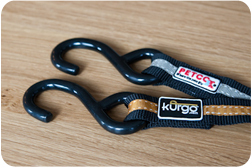 FYI: PETCO zipline and KURGO zipline are virtually identical except for the logo and the color. The seat cover is made by “Outing Dog”. We like it a lot. It doesn’t have openings for passenger seatbelt use but works well with the zipline seatbelt attached to the overhead handles. There is also a smaller version of this seat cover available that only takes up half of the space. 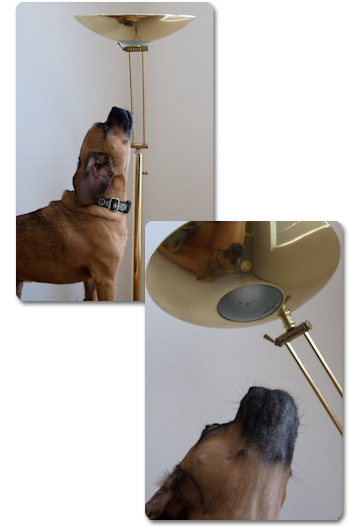 We found ours on Amazon.com. They can also be found on the wholesale website, dhgate.com or dinodirect.com.